SO! Amplifies: #hearmyhome and the Soundscapes of the Everyday | Sounding Out! Is it the quiet hum of a furnace or fan? Perhaps the muffled chatter of your colleagues or children down the hall? Can you hear sirens or birds or the passing of a car or train? Likely, these are sounds that, over time, you have learned to tune-out. Perhaps you have even complained about such ‘noise’ as something that distracts you from your work or disrupts you from your sleep. But are these sounds really just noise? 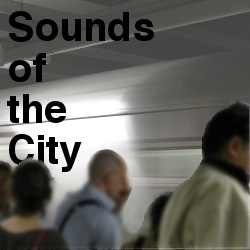 What would it mean to move beyond hearing such sounds as noise and instead (re)learn to listen to these soundscapes of the everyday as representative of community? From February to April of 2016, #hearmyhome encourages users to play, innovate, and compose soundscapes through a series of eight sonic events. In doing so, our goal is to help users ‘tune-in’ to their everyday surroundings. By (re)learning to listen to the sounds that surround them, participants may begin to better understand community. In other words, #hearmyhome considers how hearing difference and listening to community may (re)educate our senses by attuning to the rhythms and reverberations of culture. Prefer an Audio Overview? 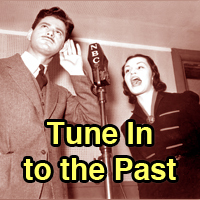 Listen here and follow us on SoundCloud! Currently in its earliest phases, #hearmyhome, led by Jon M. Wargo and myself, explores how choosing to ‘tune-in’ facilitates not only an increased awareness of the acoustic territories and rhythmic rituals which surround us, but also the impact of such sonic experiences on our bodies. In doing so, #hearmyhome interrogates how, with and through sound, people write and compose community. Each of us became interested in studying soundscapes through different avenues. For Jon, his interest in sound and sonic composition emerged from his longitudinal ethnographic examination of LGBT youth writing with mobile media. 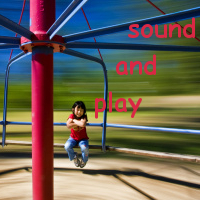 Sound was a medium used by many of the young people to architect experience and write community. As a traditionally neglected mode, he was curious how historically marginalized youth (LGBT youth of color) used sound to compose counter-narratives of self and community. Sparked by travels abroad, I first began capturing soundscapes while in Indonesia during Ramadan. Using Snapchat’s video tool, I not only captured the sounds of the call to prayer, but also sounds across Southeast Asia—from the busy streets of Jakarta to the dropping of coins into the 108 bowls within the Temple of Reclining Buddha in Bangkok, Thailand. Through these sonic experiences, I began to question how sound might be used by educators and youth to explore difference and diversity amongst local and global communities. Developing materials on a multitude of scales—from local community asset maps in teacher education classes to the larger collaborative of networked sounds—each is created with the goal of hearing, recognizing, and sustaining community. #hearmyhome takes heed of the frequencies and rhythms of culture in hopes to architect, design, and teach towards equitable landscapes for learning. Refracted through the aural perspective, we see sound re-teaching the senses by working with participants to compose constructs like ‘home’ and ‘place.’ Geared towards PK-16 teachers and students, #hearmyhome is a pedagogical endeavor. Yet, as a research project, we are interested in examining the following research questions: What are the soundscapes of a networked collaborative? How do users and participants compose with sound, attune towards difference, and write with place? Focusing on “everyday” cultural heritage, #hearmyhome invites youth and adult participants to “earwitness” community through expansive personal learning networks (PLN). At the conclusion of the sonic events, participants’ soundscapes and ambient acoustics will be archived on an open-networked soundscapes map. We hope that these will be accessed as curricular resources for youth and teachers globally. #hearmyhome is an “affinity space” wherein participants share both knowledge and life experiences (hosted and inspired through their sonic events series). Through this map, for instance, a teacher in Montana may have access to the sounds of Chicago’s subway while simultaneously youth in Michigan may opt to write with the sounds of a kookaburra captured by second graders in Australia. Ideally, an “affinity space” helps to form interpersonal relationships and collaboratively create a fuller understanding of community and culture for participants. As the community expands through new partnerships and members, we hope it serves as a hub connecting participants with research opportunities, (g)local initiatives—integrating and making the more global knowledge local—and online resources and tools. One of #hearmyhome’s larger goals is to develop curricular materials for teachers via the collaborative network and shared space on writing with and through sound. As an “open” project, resources will be shared widely via the #hearmyhome website as well as across our social media platforms as we hope to develop powerful practices of hearing, listening, and witnessing sound across communities. Interested in contributing? While our sonic events are available now, throughout the summer #hearmyhome’s homepage will be updated with additional curricular resources. If you are an educator, please consider contributing to this crowd-sourced effort. Join us by signing up for our weekly emails here or like our page on Facebook for more information on each sonic event, or simply ‘lurk and learn’ by following the #hearmyhome hashtag across Instagram, Facebook, and Twitter! Supported by the Cultural Heritage Informatics Fellowship and the National Council of Teachers of English’s Conference on English Education Research Initiative, #hearmyhome explores the sonic possibilities of writing with sound. We use sound to amplify what Steph Ceraso calls “multimodal listening,” or attending to the bodily, material, and contextual aspects of sonic interactions and relations. Sound allows for more expansive understandings of space, place, and self. We decided to hang our research on the hashtag, #hearmyhome, to aggregate data because it allows us to index user-produced soundscapes while attending to the wider goal of exploring the multiple homes of our global participants. The research component of the project investigates how the acoustic territories of the everyday write culture. For example, how might the writing of a ‘Where I’m From…’ poem shift if one does not choose to write using alphabetic print, but instead chooses to use sound? However, #hearmyhome by its very nature is open to everyone regardless of participation in the formal “research” study. Researchers will always seek members’ consent before sharing any work beyond the online community networked collaborative. For more on this, please see our standards of research statement. Joining #hearmyhome is as simple as opting in to our sonic events. To do so, visit the #hearmyhome homepage and select “Sonic Events.” Then, after reading across the prompt, use your phone or another device to record the soundscapes that are the focus of the sonic event. You can easily upload and share your recording using Instagram, Twitter, or Soundcloud. By including the #hearmyhome hashtag as well as the appropriate hashtag for the sonic event you are responding to (ex. #SE5 for sonic event 5), your response will be indexed in the #hearmyhome stream. To later be included in our networked map, it is important to also turn on the geotag to demarcate your location. Your contribution will then be accessible to teachers and youth as they explore different communities and writing with and through sound! While there is no right or wrong way to participate in #hearmyhome, we wanted to share an example from one of our participants, sound scholar Steph Ceraso. By clicking the Soundcloud link below, you can listen to how Steph responded to the prompt for our fifth #hearmyhome sonic event that asked participants to share the sounds of the ‘in-between’ moments of their day. We chose Steph’s example as it illustrates not only the beauty of noise, silence, and everyday hearings, but also for her ability to remix these sounds into a song all of their own. Although the sonic events go “live” during the weeks listed on the homepage (February 7 to April 1 2016), we encourage you to use these sounds in any way and to join the #hearmyhome collaborative at any time. Reading across the soundscapes of networked participation, we ultimately believe attuning towards difference and “hearing” home and community will help (re)mediate learning about culture by voicing stories of the everyday, highlighting the rhythmic resonances of ritual, and attuning towards community difference. Cassie J. Brownell is a Graduate Fellow in the Residential College in the Arts and Humanities and a doctoral student in Curriculum, Instruction, and Teacher Education at Michigan State University. Jon M. Wargo, an International Literacy Association (ILA) 30 Under 30 awardee, is a University Fellow and doctoral candidate in Curriculum, Instruction, and Teacher Education at Michigan State University. In Fall 2016, Jon will join the Wayne State University faculty as an Assistant Professor of Reading, Language, and Literacy. Follow #hearmyhome on Soundcloud, Twitter, and Instagram.